Built for the 1958 World Fair, the Atomium represents a molecule’s nine atoms magnified 165 billion times. Something of a symbol of the city, it provides a panoramic view of Brussels and its surroundings. The 9 spheres that make up the atom are linked by escalators. The Atomium hosts a museum and is also a venue for special events. 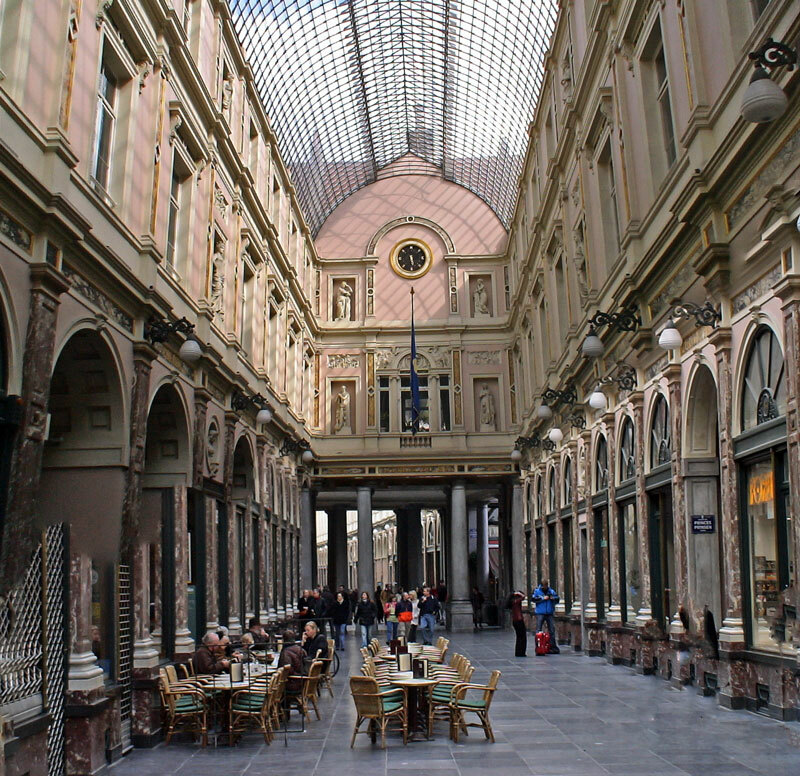 This gorgeous, glass roofed arcade in the center of town, lined with cafes, theaters and luxury stores has the distinction of being the first shopping arcade in Europe. Built in 1847 and recently renovated, the Royal Galleries (Galerie de la Reine, du Roi and du Prince) are one of the most astonishing places to visit in Brussels. irreverent Belgian humor. The unique Brussels icon has been amusing visitors on the corner of Rue de L’Etuve & Stroofstraat since 1619. Over time it has become a tradition for visiting heads of state to donate miniature versions of their national costume for the little naked boy. wearing a Montreal Canadian's uniform! 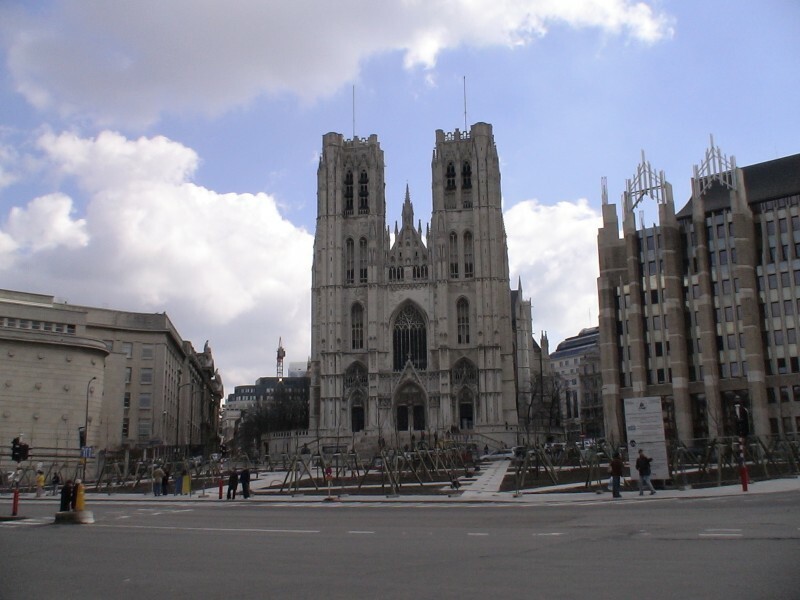 This cathedral, tactfully dedicated to the male and female patron saints of Brussels, is located near Central Station. It was completed by the end of the 15th century in the Brabant Gothic style, but was damaged by the French shelling of 1695. The white stone façade is from the year 1250 and the interior is splendidly proportioned and stuffed with treasures. 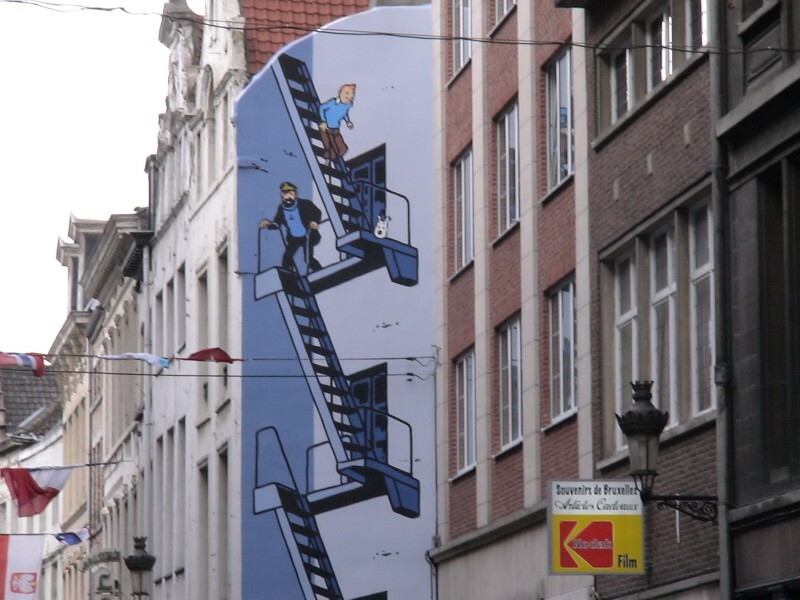 There are currently 18 large comic strip images decorating the sides of buildings around Brussels city center. This outdoor exhibition is known as the comic strip route and is organized by the Belgian Center for Comic Strip Art and the city of Brussels. Begun in 1991 as a tribute to Belgium’s talent for comic strip art, this street art project continues to grow.